Located in the Southern region of Karnataka, Coorg finds its place amidst the tranquillity of the hills, valleys, and vegetation. Cradled right into Mother Earth’s lap, the breath-taking natural beauty has earned Coorg the nickname “Scotland of India”. Be it the lush green mountains, the high altitudes, or the delectable smell of coffee in the air, this hill station continues to be popular for many reasons and you should be here to cherish them. Keeping aside the geomorphic and the international acclamation that Western Ghats enjoy there's more to them. This chain of mountains stands tall and proud, protecting the unspoilt charisma of Coorg on all sides. Their presence enhances the beauty of this place and provides shelter to several flora and fauna. It is hard to verbally describe the significance of the Western Ghats and their impact on the weather. The magnificence of the Western Ghats is the jewel on the crown of Coorg's scenery. If your tight packed schedule doesn't permit you to take a long vacation, then be here for a short trip as it can offer you so many thrilling experience in so less time. If you haven’t visited Coorg before, we bring to you the 10 reasons why it should be added to your ultimate bucket list destinations. 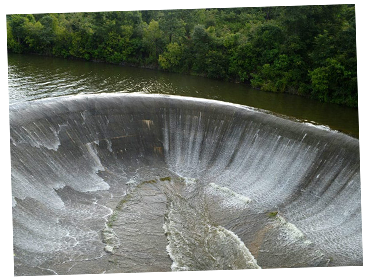 You will be amazed to come across the calm that Abbi Falls presents to its visitors. 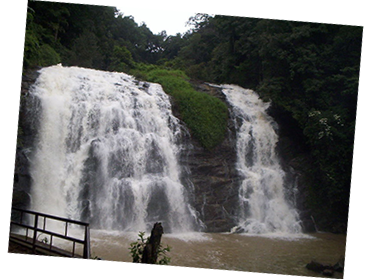 The combination of multiple streams down the path of Western Ghats forms the Abbi Falls. You could sit here all day listening to the blissful and stress- relieving sound of the waterfalls. Get ready to come across the ecological park in Coorg that promises one of a kind view. Strolling down the path you will come across Cauvery that splits to take the form of an island. 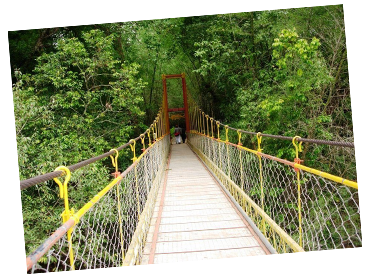 You will love the bamboo forests that has a deer park, hanging bridge, and treetop shelter. 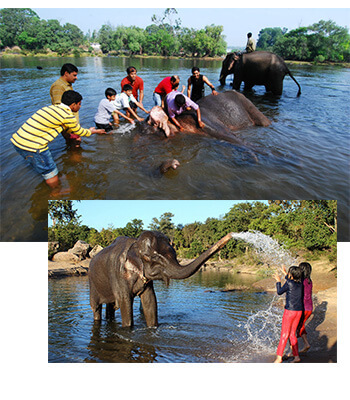 Karnataka's charm is enhanced by the presence of elephants. These majestic creatures with their magnificence can make anyone happy. Don't you think? If you love animals and appreciate their beauty, then Dubare Elephant Camp is the place for you. Though it is named after elephants, but you can spot leopards, bears, peacocks, and plenty of other birds around. Take a long, refreshing walk around this tourist free zone. If you want to spend some alone time with Nature, get in here. With the help of the locals, you can discover the old Shiva Temple around. It can be a treasure hunt where the end result will be delightful, old architecture. Coffee is the fuel that our body runs on. You are going to love the rich quality of coffee here. The whole place reverberates with the refreshing smell of coffee. Coorg with its coffee plantations is enough to melt any traveller’s heart. 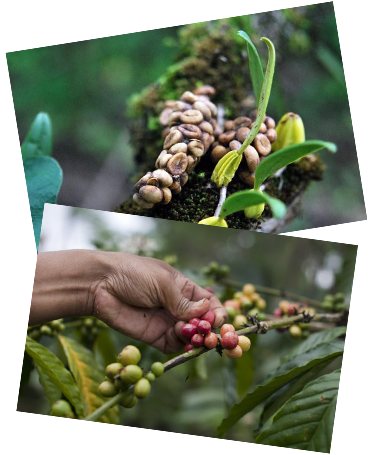 If your heart continues to crave the aroma and flavour of coffee, then stay back in the coffee plantations. You can be a part of the entire process that starts with plucking, processing, and making coffee. Watch the fascinating process unearth in front of your eyes. You'll love every second amidst the lush green coffee plantations with the strong addictive flavour of coffee in the air. It is time you indulge in your favourite beverage while you gain an in-depth knowledge straight from the cultivators. The best place for wildlife lovers. Visit Coorg for the untampered beauty that Talakaveri Wildlife Sanctuary has to offer. You have the chance to come face to face with the wildlife that reside here. You will come across tigers, jackals, leopards, giant flying squirrels, porcupines, pythons, cobras, and other animals. 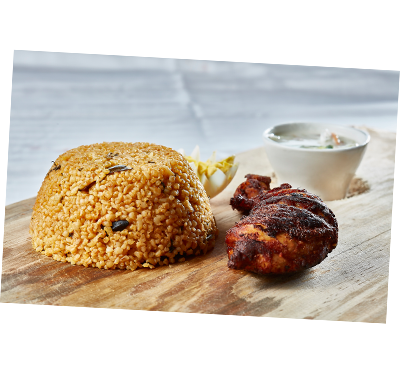 Are you a food lover? Then try the local cuisine. From rice dumplings to bamboo shoot curry, pork curry, akki roti, koli curry, and the list is endless. The popular dishes of Coorg imbibe the delectable taste and aroma of spices, coconut, and curry leaves. Coorg has something for everyone. 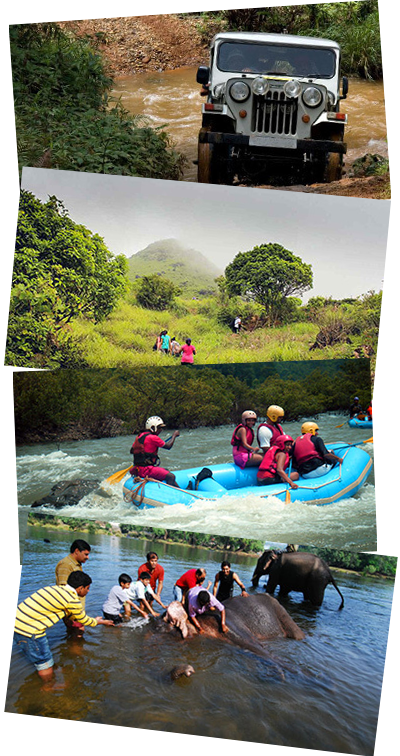 If you seek thrill and want the kind of adventure that promises adrenaline rush, then it is time to visit Coorg. From trekking to camping, river rafting, and jeep safari, there are plenty of ways that you can enjoy your stay in Coorg. Want to have a taste of the incredible off-road jeep drive? Then, Coorg is just the place you should come to. Every adventure seeking enthusiast, will find their soul -awakening escapades here. The evergreen forests, the favourable weather conditions, and the exuberant rivers, has turned Coorg into a dream destination. You can drive all the way to Bakkere. 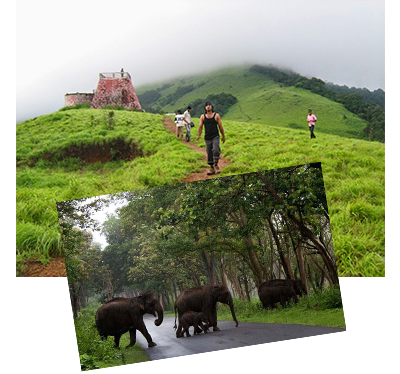 Here, visitors travel through the elephant grasslands in jeeps to come across the exotic Brahmagiri Hills. The drivers being familiar to the area will take their guests into the unexplored parts of Coorg, which lays hidden deep in the Malnad forests. Travelers who can endure the dusty and uneven terrains are rewarded with an unparalleled picture of nature. 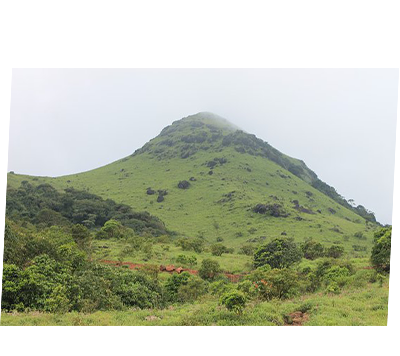 Coorg's highest peak is Tadiandamol that stands tall at an altitude of 5735 feet. Unknown to many, the Tadiandamol Peak is the best trek one can embark on. Keeping aside the unharmed scenic beauty of this place there is a lot of historic significance attached to it. Dodda Veerarajendra built a palace that is not far from the peak, to protect his army from the cruelty of the British troops. Go back into time and revisit the days that have long passed by. Built in the 17th century, this fort still stands. You can go through Tipu Sultan’s possessions in the museum nearby. He rebuilt this fort with granite in the year 1790. 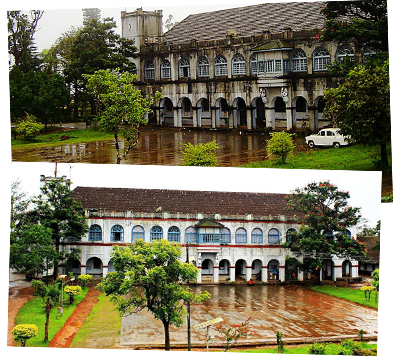 Don't miss out the artefacts that goes back to the British era. Coorg’s connection with Hockey goes way back in time. 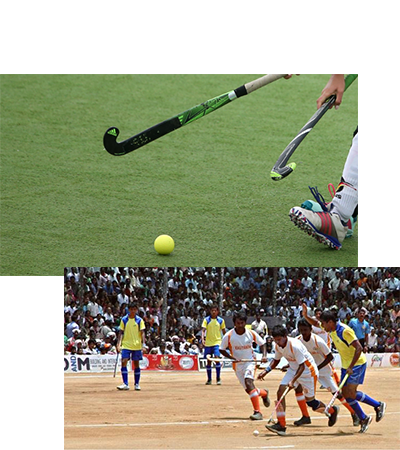 Hockey happens to be the sport of the Kodavas, the inhabitants of the Kodagu district. The popular and renowned annually organized hockey festival has earned its place in the Limca Book of records and has been mentioned to the Guinness Book. The hockey players from this state have never missed a chance to make India proud with their amazing talent and efforts in several internationally held hockey tournaments. 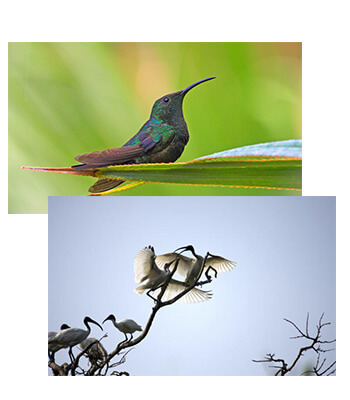 If nature and its members inspire you, then bird watching in Coorg is something which you shouldn’t miss at all. Brahmagiri, Talakaveri, Nagarhole, and Pushpagiri are the areas in Coorg one can enjoy spending their time watching the birds. The white bellied shortwings, flycatchers, Nilgiri laughing thrush, and other rare birds can be easily spotted in Coorg. Don't forget your binoculars on your way to these regions in Coorg. Every place has its unique charm and the culture that binds by it. 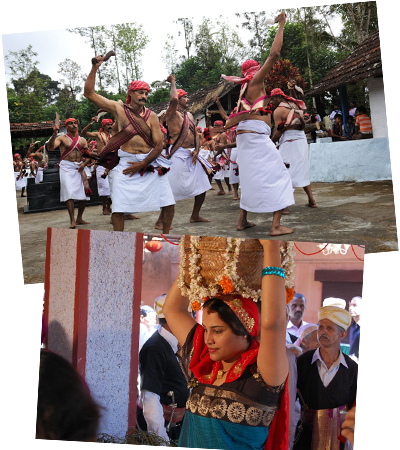 With the native essence reflecting from the local lifestyle and traditions rooted deeply, the culture of Coorg has been focused more on ethnicity. Coorg stands out from other places in India, for its distinct features and characteristics - language, dress, religious practices, ancestral homes, songs, dances, and festivals of the Kodava culture are very unique and strikingly different. Don’t leave without experiencing the vibrant culture this place has to offer. Other than the serene landscapes and the ethnic cultural aspects, Coorg has many more stories to share with its wanderers. One should never forget to pay their respect to the sacrifices made by the eminent people of this place. 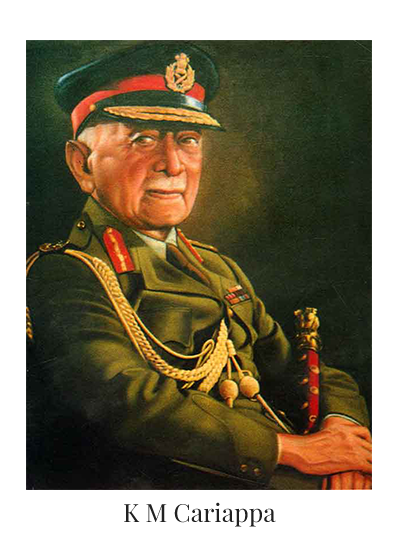 Some of the most intriguing and courageous events of Coorg include historical moments where brave soldiers and great men like Pandyanda Belliappa, K.M. Subraya, Chekkera Monnaiah, and so many others fought for India’s freedom against the British. Termed as the ethnic “Kodavas”, their role in freedom fight was immense and deserves special mention. Protecting their motherland against the furious oppression of the British, these freedom fighters have given Coorg memorable and proud memories to cherish forever. Did you know, in the whole of South India, Coorg houses the biggest Tibetan settlement? 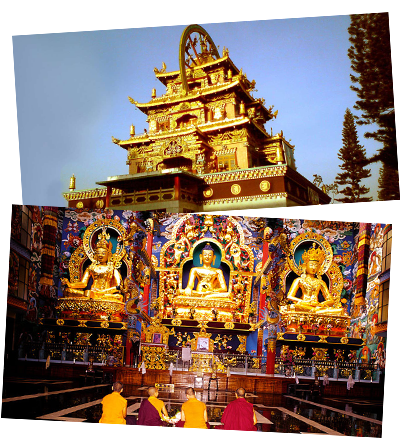 Find some time to visit Namdroling Monastery in Bylakuppe. If you seek spiritual guidance along with soul awakening calm and peace, then the monasteries here are the place for you. Coorg has to offer so many things, that it is hard to keep a count. Refresh your soul and rejuvenate your body by being here. To enjoy the scenic nature along with the historic charm of Coorg, Sixth Element takes pride of its extravagant cottages set amidst the serene ambiance. The comfort and convenience offered to the guests are absolutely refreshing. The luxurious accommodation, the serenity that surrounds this place, and the lip-smacking cuisines are some of the many things that Sixth Element has to offer. The endless number of attractions in Coorg can’t be missed out on. Now is the time to pack your bags and head straight towards this little haven. Copyright © 2018 SixthElement. All Rights Reserved.